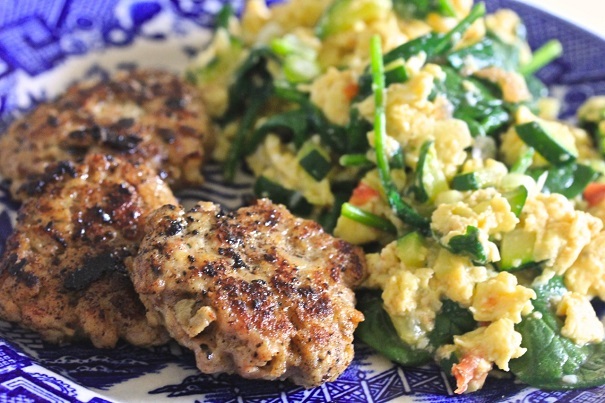 Combine the sausage, apples, panko crumbs, egg yolk, and salt and pepper. 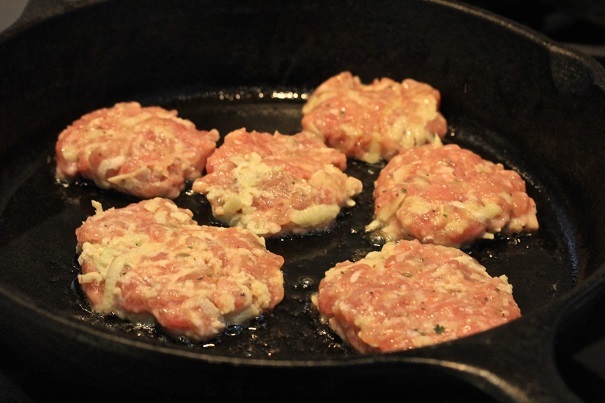 Form sausage into small (3 inch) sausage patties. Spray a large frying pan with cooking spray and cook the sausage, about 4 minutes per side, until they are well browned. Drain sausages and serve immediately, or keep warm in a low temperature oven until ready to serve.